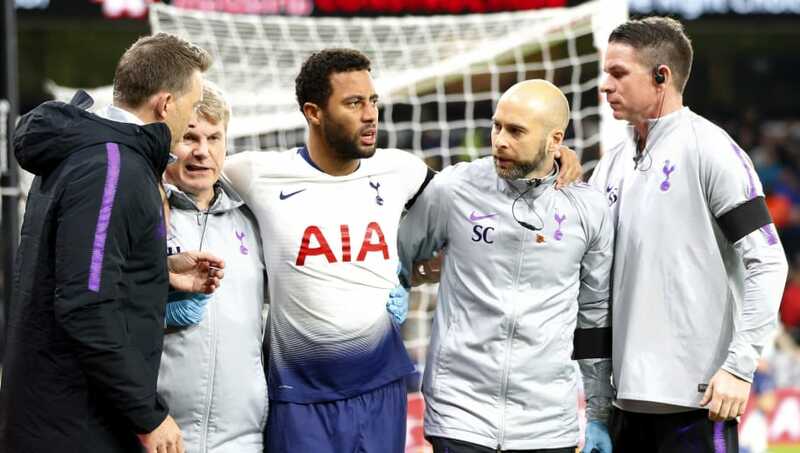 ​Tottenham are set to be without Mousa Dembele, Davison Sanchez, Kieran Trippier and Victor Wanyama, among others, for their crucial Champions League tie against Inter, according to Dan Kilpatrick of the Evening Standard. Spurs must beat the Italian side at Wembley, as well as their final Group B game against Barcelona, if they're to progress to the knockout stages of the competition, however Mauricio Pochettino is set to be without a number of first team players for the game against Inter. #thfc Dembele (ankle), Sanchez (hamstring), Trippier (groin) & Wanyama (knee) unavailable for Inter, while Foyth is ineligible. Rose has returned to full training but club says he's 'building up match fitness', suggesting he won't play a part. As reported by Dan Kilpatrick, Dembele (ankle), Sanchez (hamstring), Trippier (groin) and Wanyama (knee) are all unavailable for Pochettino, all of whom missed the Chelsea win, while young central defender Juan Foyth is ineligible after being left out of the squad at the beginning of the season. It's a decision that Pochettino regrets, who said, as quoted by ​Sky Sports: "It's a mistake we made that at this level of football we cannot repeat again. We need to find a solution. "It is painful to have a player off the list but we will finish [the group stage] soon and hope that in March we can do a new list and we can include him on it." Another player that is set to miss the game is full-back Danny Rose, who despite returning to full training is 'building up match fitness', suggesting he won't feature against ​Inter. ​Tottenham are on the verge of Champions League elimination after earning just four points from their opening four games in the competition, and know only maximum points from their final two games will be enough to give them a chance of reaching the last 16.